Order a village veg box. A well stocked shop with everything for the everyday plus a whole lot more! Delicious choice of home made cakes. Napton and Canal themed gifts. Why not order a grazing table for your next get together! 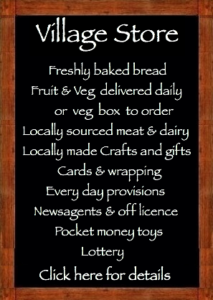 Welcome to Napton Village Stores, Post Office and Café, a local shop proud to sell local products. New Village Veg Box & More… making it easy to order local produce like Skylarks Eggs, Napton Honey and Appletree Milk and freshly baked bread in store along with your veg box. We also bring back the best in seasonal and fresh produce to sell in store at very competitive prices – so why not give us a try, just click here to order! Don't forgot to make your Village Veg Box & More order on line today - Monday - for collection tomorrow Tuesday. Click to Select your fresh produce by 5pm Mondays for collection 2-7pm Tuesdays every week. Mandy Gleghorn was the proud owner of the winning ticket for the GIANT Easter Egg Raffle!